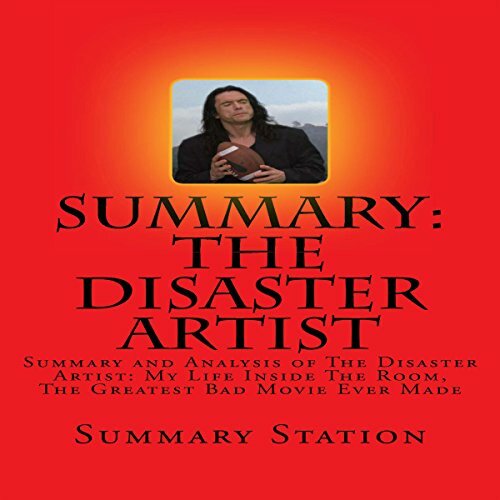 Learn about Tommy Wiseau and the best bad movie ever made in a fraction of the time it takes to read the actual book! The opening chapter of Sestero's book introduces us to Tommy Wiseau, the eccentric filmmaker himself, as he treats his friend, Greg Sestero, to a celebratory dinner at Hollywood's Palm Restaurant. Filming of Wiseau's film, The Room, starts the following day. Sestero explains that Wiseau wrote, directed, produced, cast, and starred in the film - a true passion project. Sestero spends the majority of this chapter detailing Wiseau's all-around strangeness. For example, Tommy's hair is long and unkempt, he wears outdated clothes with two (yes, two) belts on his pants, and he drinks glasses of hot water with every meal. Two girls come over to the table, introducing themselves and flirting accordingly, and Wiseau - who speaks in broken English - insults them viciously and hilariously in a French(ish) accent. Wiseau then racks up a huge bill, barely tips the waiter, and storms out of the restaurant in traditional Tommy Wiseau fashion. Wiseau then drives himself and Sestero from the restaurant at a mere 20 miles per hour in his Mercedes. In the car, Tommy makes Greg an interesting offer the day before his film's production: Tommy wants Greg to star in The Room as Mark, a character who betrays Tommy's lead character, Johnny. Would you ever listen to anything by Summary Station again? What didn’t you like about Brian Ackley’s performance? This is a pathetic cash grab.